City Parks Foundation offers internship and apprenticeship opportunities each year for high school and college students. These opportunities connect students to tangible work and life skills as they work alongside our staff to teach younger students in our gardens, lead marine ecology lessons, support SummerStage programming, and provide logistical support to our team. Our staff works with all students throughout their experience to support and encourage their self-confidence and identify the next steps on their paths to a successful future. City Parks Foundation offers hands-on internship experiences in the Marketing & Partnerships Department, which manages all marketing, publicity, social media, community outreach and media partnership and sponsorship initiatives for the entire organization. Interns will gain experience while helping the full-time staff execute a wide range of initiatives for our arts, sports, community development and environmental education programs. These are stipend paid internships. 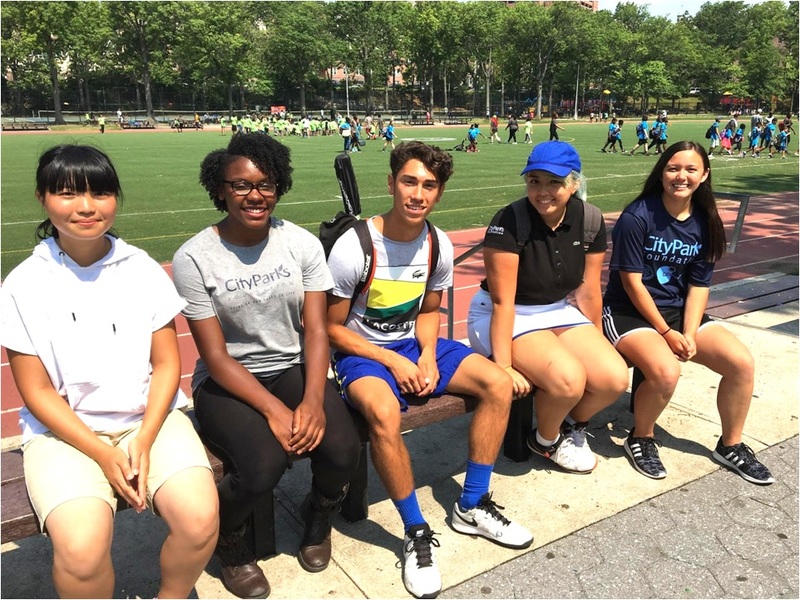 CityParks Play High School Internship Program gives students the opportunity to gain valuable experience in the field of Recreational Sports Management. CPF has developed this new fellowship opportunity for talented high school students, 11th or 12th grade, to gain hands-on experience and explore the environmental education sector while helping to promote environmental stewardship of our waterways and coastal areas. Selected interns will gain valuable work experience, put their knowledge and skills to practice while learning at the same time and will get paid. CityParks Learn has operated interdisciplinary environmental education programs in schools and parks since 1992. Coastal Classroom focuses on coastal ecology, water quality, urban waterfront restoration and preservation in shoreline parks in Brooklyn, Queens, Manhattan and the Bronx. Coastal Classroom offers multi-session programs for summer camp organizations, community based organizations and other youth summer groups. Through site specific inquiry-based lessons, we provide stimulating and meaningful learning experiences for a range of community members. The Horticulture Interns will work alongside Learning Garden staff in day-to-day field operations in at least two Learning Gardens sites which are located in Bushwick, Brownsville, South Jamaica, and the South Bronx. Primary responsibilities will be to help maintain pollinator garden areas and general maintenance so educators can use the garden effectively for summer programming. Guidance and some training will be on site, but prior knowledge is required. The ideal candidate will be an excellent team member and an effective communicator. City Parks Foundation seeks two college interns to work during the school year within our Seeds to Trees Program. The mission of Seeds to Trees is to educate elementary and middle school students about urban ecology, forest ecology, marine ecology, parks stewardship and conservation using parks as an outdoor classroom. This program blends hands-on classroom sessions and outdoor field experiences in parks or gardens, and offers professional development for partner teachers. CPF has developed this fellowship opportunity for ambitious 11th or 12th grade high school students to gain hands-on experience and explore the environmental education sector while helping to promote stewardship of our waterways and coastal areas. Selected interns will gain valuable work experience, putting their knowledge and skills to use while expanding their knowledge of the field. Generous private support is provided by The Thompson Family Foundation, The Carroll and Milton Petrie Foundation, and Levitt Foundation. Public support is provided by New York City Council. In partnership with NYC Parks.